The new poll comes about a month after the same firm called the race "too close to call." WASHINGTON — U.S. Sen. Ted Cruz has some breathing space from U.S. Rep. Beto O'Rourke, according to a new poll released by Quinnipiac University on Wednesday. 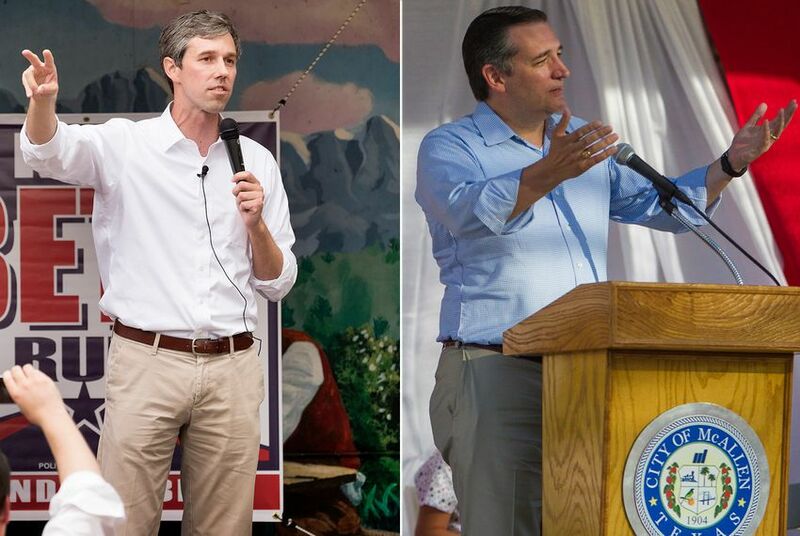 In the banner statewide race in the state, the new survey showed Cruz had an 11-point lead over O'Rourke. Fifty percent of Texans backed Cruz, while 39 percent supported O'Rourke in the coming U.S. Senate race in the fall. An April poll from the same outfit showed the race "too close to call." But now, at the dawn of the general election, Cruz appears to be in a stronger position than what Quinnipiac's April survey conveyed. In this new poll, Cruz is nearly universally known within the state. Forty-nine of Texans polled viewed him positively, while 38 percent had an unfavorable opinion of him. O'Rourke, on the other hand, is still relatively unknown. Thirty percent of those surveyed had a positive view of him, while 19 percent had a negative impression of him. Fifty percent of those polled did not know who he was. Quinnipiac also looked at the gubernatorial race. The survey showed the newly minted Democratic nominee, former Dallas County Sheriff Lupe Valdez, trailing Republican Gov. Greg Abbott with 34 percent to 53 percent. One of Abbott's strengths is name identification. Fifty-three percent of Texans surveyed had a positive view of Abbott, while 27 percent viewed him negatively. Valdez, in contrast, is still relatively unknown. Twenty-five percent of respondents viewed her positively, while 19 percent had a negative view. More than half of the Texans surveyed — 53 percent — had never heard of her. The new poll was released just a week after Valdez won the Democratic gubernatorial nomination over Houstonian Andrew White. Back in April, the polling showed Abbott leading Valdez 49-41 percent. Quinnipiac's polling is respected within the political community. Even so, Cruz's pollster, Chris Wilson, and other political observers raised questions about Quinnipiac's sample size in the April survey. The poll was conducted on May 23 through May 29 and included 961 self-identified registered voters. The margin of error was 3.8 percent, and this was a landline and cell phone survey.